South Carolina sports betting enthusiasts are out of luck – there is no place in the state where you can place a legal wager on sports. Though the state has relaxed its anti-gaming laws a bit of late, allowing for two casino cruise ships to dock on state land when not in operation, it is not a region that is generally friendly to gambling. In some ways, The Palmetto State is liberal with its gaming regulations. Most social betting is legal, and a few charitable games are provided for. Lottery games are popular, and there is talk of adding simulcast pari-mutuel facilities and machine games to certain counties, though I don’t expect that to happen anytime soon. It’s unclear if USA-facing sportsbook sites are fully legal for bets – more on that down below. Let’s take a close look at sports in South Carolina, along with some notes on gaming law within state lines. South Carolina is not home to any major professional team. The NFL, NBA, and NHL all have teams with Carolina in the name, but all of those teams play in slightly-wealthier northern neighbor North Carolina. Local fans tend to pull for these teams, but the Carolina Panthers, Charlotte Hornets, and Carolina Hurricanes are all based just north of the state’s northern border. It’s interesting to note that the expansion Carolina Panthers played their first full season at Clemson, in South Carolina, and the team still has a training facility at Wofford College in Spartanburg. There’s a good tradition of sports in the state – just not a current (or a professional) one. As if to make up for the lack of pro sports immediately within state lines, NCAA sports are a really big deal to South Carolina citizens. The most popular by far is college football, but NCAA basketball is also really popular. The only reason NCAA sports bettors might recognize the Cougars’ name is if they were heavily into March Madness in the 90s. Charleston made it to the big dance four times that decade, but have yet to return since 1999. They play twenty-eight sports in the Colonial American Association. Located in Charleston, the Bulldogs play in the Southern Conference and are one of very few active D-1 squads that have never made an appearance in the NCAA tournament. Located in Clemson, of course, the Tigers are a dominant force in many ACC sports. The team has multiple NCAA tournament appearances to its credit, and has one NCAA football title to its credit, from 1981. Located in Conway, the Chanticleers have probably the best mascot name in all of the Big South Conference. Coastal Carolina has made three Men’s NCAA basketball tournament appearances. Located in Columbia, USC as the school is known is the biggest sport’s draw in the area, and one of the most successful sports traditions in the state. The Gamecocks compete in the tough SEC conference. Some 90,000 people flood Columbia every Saturday to cheer on the state’s only SEC team. It should be mentioned that the state also has a long tradition of baseball excellence. Both South Carolina and Clemson are consistently top-rated in NCAA baseball, with national titles in both team’s histories. A lot of high-value prospects enter Major League Baseball with a stop in South Carolina, first – the state is also home to plenty of semi-pro baseball development teams, a sure sign of local talent. Before we dig into this, remember that I am not a lawyer. If you have actual legal concerns about your sportsbook wagers, please get in touch with a legal professional. The only tricky thing about South Carolina’s gambling laws is that the state never officially defines the words gambling, betting, or wagering. Instead, we have to depend on this definition – it’s covered in the “Unlawful games and betting” section of state law, which is Section 16-19-40. This is one of the most complicated paragraphs of legalese I’ve yet come across – but basically, all forms of betting are forbidden if the state hasn’t legalized them. The situation is so bad that the playing of certain games is illegal even if no one wagers on them. It’s not likely that this law is being enforced – it’s what’s called a Blue Law, a holdover from a time when the Christian church had a tight grip on American legislation. As silly as that and other Blue Laws are, it’s important to point out that South Carolina gambling law makes no mention of the Internet, so it’s impossible to say precisely if such bets are legal within state lines. Sports bettors that live in South Carolina face a common problem for Americans – no legal access to bookmakers. 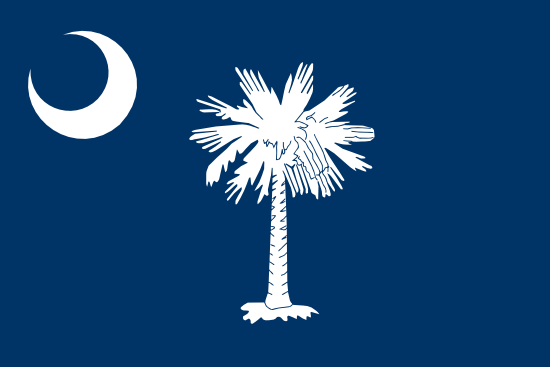 The laws in South Carolina clearly outline what is legal and what isn’t – but because the state doesn’t expressly forbid online gambling, it’s possible that the state doesn’t care at all when its citizens place wagers online at offshore books. Be sure to contact a lawyer if you have serious concerns about wagering within the Palmetto State.